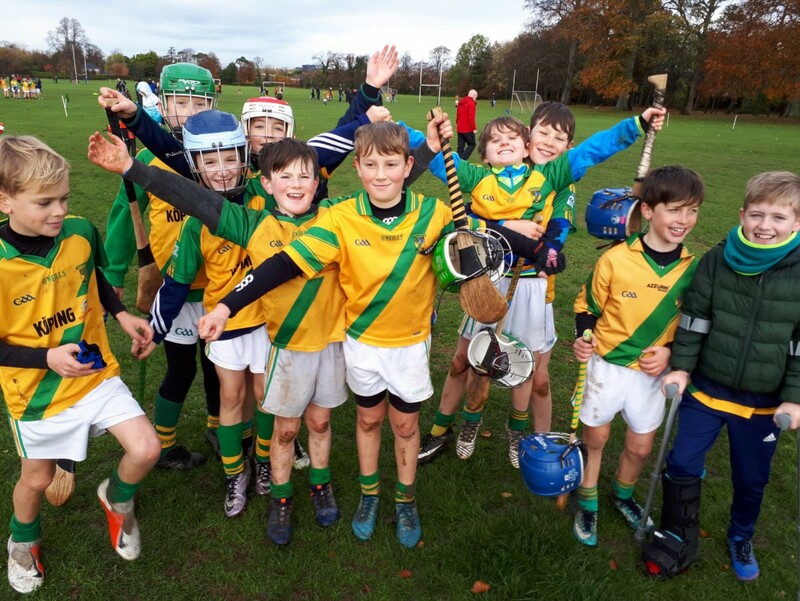 The final fixture of the year Nov 10th was an arranged BLITZ in MARLAY Park hosted by the local club there and also involving Naomh MAERNOG and GAEIL OGA. FAUGHS fielded 4 teams with each playing three games in an allocated division. It was great to see the full panel of close to 40 participating and enjoying the matches, and it reflects the ongoing popularity of the game within the local community at underage level. 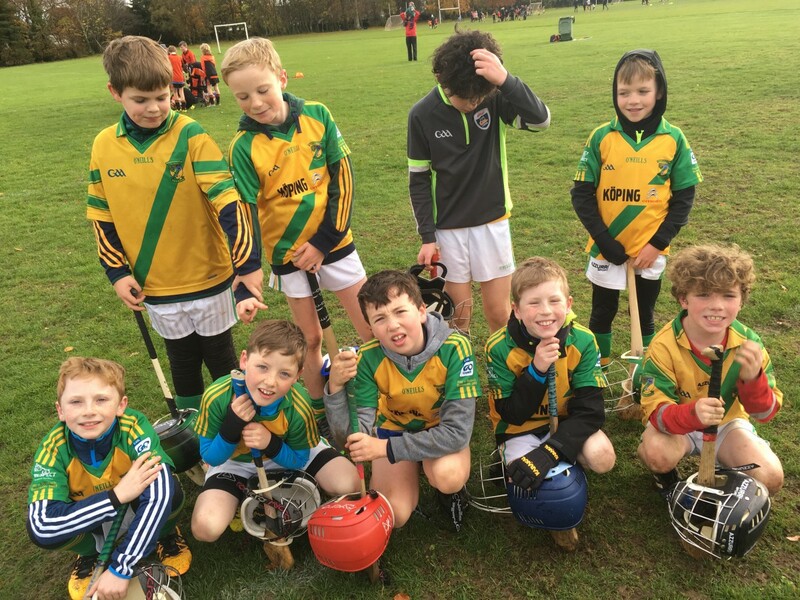 U11 playing rules were applied as preparation for next year’s season, and it was a great opportunity for the players to become familiar with solo runs and increased value on goals in addition to some other minor changes. Weather playing conditions on the day were challenging particularly for the early games, and it was great to see the FAUGHS teams do so well with very high effort and skill levels displayed, and they matched all opponents well on both fronts. 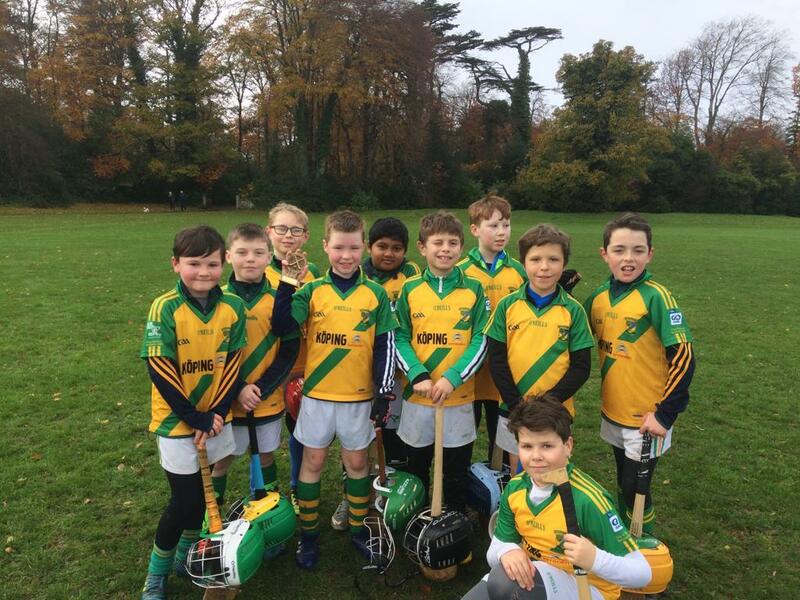 There was opportunity to move players through all the positions in defence and attack in the course of close to 80 minutes of hurling – a great morning’s work! 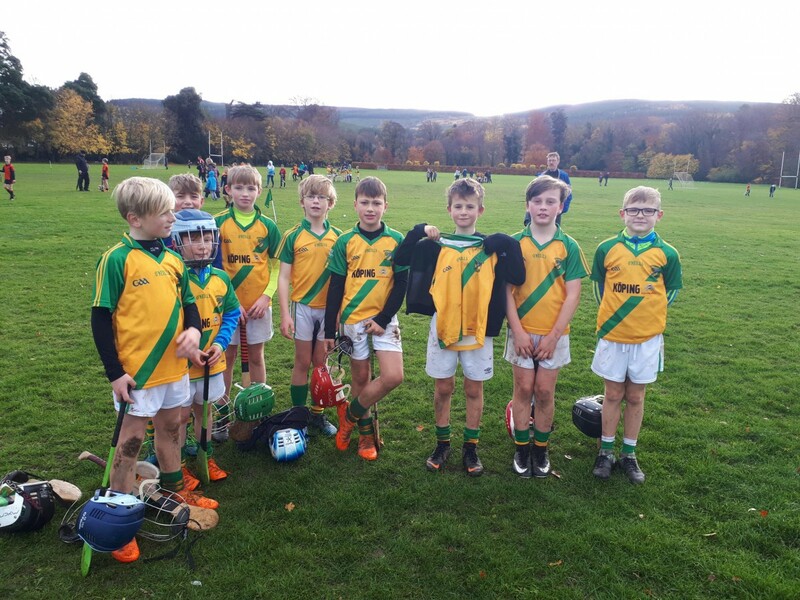 Thanks to BALLINTEER for arranging and running such a great event, and we look forward to playing against them in the age groups ahead. We wish a speedy recovery to Oisin Spillane from his recent leg injury & who demonstrated his commitment to his team mates with his attendance at the blitz on crutches (see photo).